TMT tells us it has “produced several Pulitzer Prize-winning writers”. How can you win a Pulitzer Prize if you did not have the right to report freely? TMT concurs with me when pointing out that the “draft legislation on media assets” now “puts these achievements in jeopardy”. 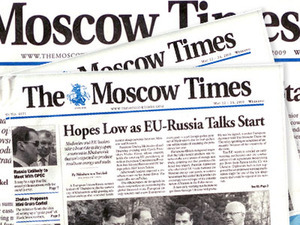 The Moscow Times itself has lost money almost each year since its establishment. The legislation in question would limit foreign ownership of all Russian media companies to 20 percent. As further evidence of present media freedom TMT writes that presently “most Russian publishing houses are foreign-owned” and goes on to predict the new measures will greatly change Russia’s media industry — “almost certainly not for the better.” This implies western media corporations have been positive for Russia media in general. TMT estimates the combined reach of Western media corporations in Russia is as large as 60 million people. Next we are told that the foreign media: “…came here to earn money, and they did, contributing in turn to Russia’s growing prosperity.” But The Moscow Times itself has lost money almost each year since its establishment. 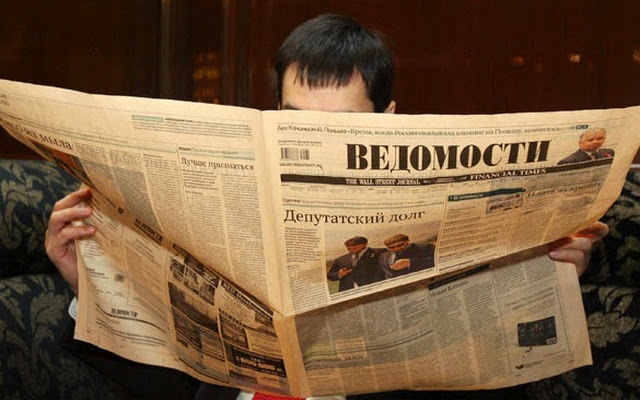 I also understand Vedomosti has never been in the black. Using their own logic, we can conclude that money is not what they are after. The Moscow Times has a very different mission. TMT laments that the authors of the draft laws have put forward the case that glossy magazines owned by Western media corporations “present a greater danger to Russia’s national security than newspapers covering politics and society”. TMT denies this accusation and claims these publications has not been involved in politics. The Moscow Times writes that glossy magazines do not promote Western interests, but “Western aesthetics” and that “Western values” are now being questioned and that “Western lifestyles are being rejected as immoral and unfashionable.” In fact, the message of regime change comes under the guise of “Western values” combined with an effort to whitewash all the crimes against humanity the Western elite conducts under this banner. Jon Hellevig is a business consultant and economic and political observer. 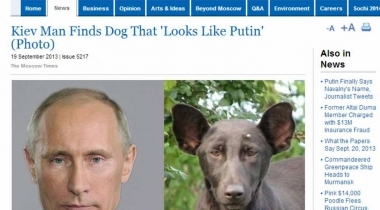 He is the co-editor and co-author of Putin’s New Russia and several books on philosophy and political and social sciences.